The first stage: you get to know the trouble. If you suspect that the other parent has filed an application for the return of the child in the country where the child lived previously, and he/she knows your whereabouts in Spain you are in trouble. In case that the petition complies with all the requirements (see the previous article), the Court (of the place of residence in Spain) will issue a decision admitting the claim; and the clerk of the office will require you within 24 hours for attending a hearing -that must be set in the next 3 days following your notifications; is an obligation to attend the hearing with the child and state whether you access to the petition made by the other parent, or you oppose. 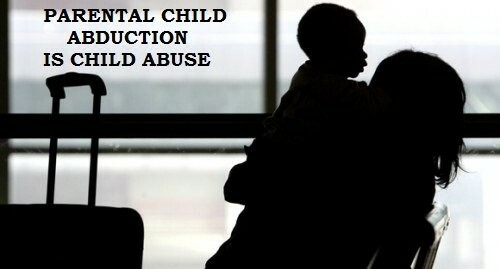 If you agree the child will be returned within 24 hours accompany by the police. If you do not appear, the clerk of the court on the same day will declare you in default and the proceeding will continue, notifying the complaint about attending a hearing to take place within a period not exceeding five days. The judge may order any interim measures it deems relevant to the child unless it has been already adopted previously under Article 773 Civil Code. For instance: an injunction (for your provisional imprisonment). Second stage: you face it. If you oppose, you have to attend the Court accompany by a lawyer. The opposition must be made by written, the clerk of the Court on the same day will summon the other parent and to the public prosecutor for attending a hearing in the next five days. The hearing shall not be suspended by default of the plaintiff. If the defendant had objected does not appear, the judge will have him as withdrawn from the opposition and continue with the proceedings straight forward. Both parents must submit all the useful and relevant evidence and the judge must agree or not on the facts relevant to the decision and can take interim measures, if necessary, to adopt within the time limit of six days. The judge may also seek ex officio or ex parte evidence. The Prosecutor’s Office report is also relevant and preferential to any process. The Judge before making any decision on the appropriateness or inappropriateness of the return of the child or return to the place of origin, in the presence of the Public Prosecutor will hear the child separately, unless the hearing thereof is not deemed appropriate depending on the age and maturity of the same, which shall be stated in a reasoned decision. The third stage: you get a Court decision. Following the hearing and, where appropriate, within three days, the judge shall make a decision or Court order agreeing or not the return of the child to the other parent, allowing you the communication or relationship with the child, taking into account the best interest of the child. The decision ordering the return of the child will set in detail the implementation period and, all the necessary measures to prevent the further illicit transfer or retention of the child after the notification of the judgment form. If the restitution or return of the child is agreed, the person who has retained the child will pay the legal costs, including those incurred by the applicant, travel expenses and those incurred the restitution or return of the child to the State where was their habitual residence before the abduction. Against the decision you can file an appeal with suspense effect (means a stay in the abduction proceedings), and should be resolved within the time limit of twenty days.